Are you looking for a new or used Jeep Cherokee in the northeastern part of Oklahoma? Come visit us at the premier Jeep dealership in this part of the state, Vance Chrylser Dodge Jeep Ram in Miami, Oklahoma. We are a quick 30 minute drive from Joplin, MO as well. 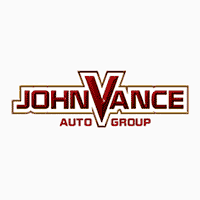 Vance Auto Group has been committed to helping our neighbors get into the vehicle of their dreams for over thirty years. We have nine full service dealerships which means a huge inventory of new and used vehicles to choose from. Come see the latest in Jeep Cherokee and see why IHS MarkIt says more people have switched to the Jeep brand in the past two years than any other. There are seven Jeep Cherokee models to choose from. Satisfy your need for discovery, dependability, style and comfort on and off the road. The new Jeep Cherokee takes the legendary craftsmanship and authenticity of the Jeep Brand and has designed it to meet the modern needs. Its new style with all the innovative features still holds true to Jeep’s renowned roots. Make every drive an adventure whether it is to work, run errands or go exploring. Now you do it in refined comfort with all the amenities of home including the luxurious comfort of the Cherokee seating to stay connected wherever you go. Available next generation Uconnect® systems provide you with user-friendly driver-safe technology so you can stay connected with the capability to access your smartphone, get directions, keep track of your off-road adventures and more is all at your fingertips. The versatility of the Jeep Cherokee fits your lifestyle to carry passengers or cargo. Use the power lift gate to use your foot to open the lift gate when your hands are full. The Jeep Cherokee fulfills all your needs in one stylish comfortable ride. Come experience the Jeep Cherokee at Vance Chrysler Dodge Jeep Ram in Miami, OK where we treat you like neighbors.